THIS IS THE ULTIMATE IN PORTABLE LIFTS! 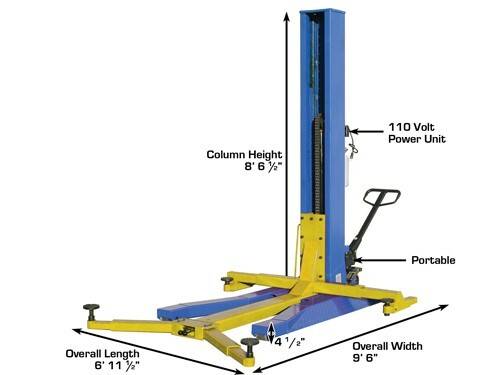 The Lift King P6000 is the perfect, portable high rise lift for those customers with minimum floor space. 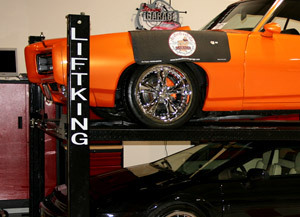 The Lift King P6000 can be used either inside or outside to lift your car or light truck to over 6 feet in the air. The 103 inch column fits easily under a 9 foot (or 108 inch) ceiling. 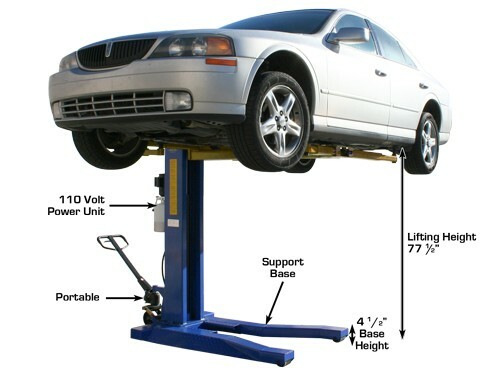 The P6000 portable car lift operates on 110 volt electricity and rolls easily on a smooth concrete surface and has a lifting capacity of 6,000 pounds. 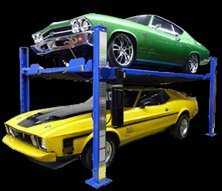 If you need a lift that will allow you walk under the vehicle or perform wheel service general maintenance or that restoration, yet do not have the space for a permanently mounted four post or two post above ground lift, then the Lift King P6000 is your perfect choice.